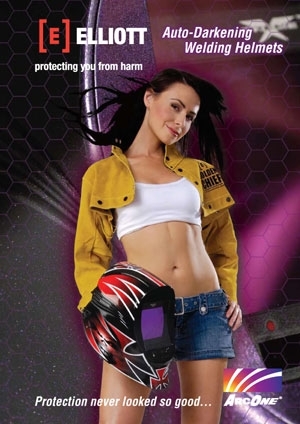 Auto-darkening welding helmet offers largest viewing area available. Elliott Australia's new range of Arc-One auto-darkening welding helmets includes the VIPER X540 which offers the largest viewing area of any auto-darkening welding helmet in the world. For the professional welder, this means a better, clearer view of the welding area with added features like a lens speed of 0.1 milliseconds, sensitivity delay and grind mode and 4 independent sensors making it a highly versatile helmet suitable for most welding applications. Given the quality, versatility and unique features of VIPER X540, Elliott Australia is offering a three year warranty.